Kelty is one of the most diverse camping and backpacking companies out there, primarily because they do it all. They make innovative backpacks, daypacks, sleeping bags, tents and more. And most all their products are of respectable quality without being cost-prohibitive. Their backpacks in particular are known for their detailed, modern features with a diverse amount of offerings. HIgher quality bags certainly exist on the market, but for an affordable price, Kelty provides fine quality and convenience. The smallest of the Kelty packs, the Redwing might be glossed over in lieu of more robust packs filled with more pockets and features, but the Redwing 44 (or the Women’s Redwing 40) should by no means be overlooked. For light packers, it provides all you need for overnights and weekend trips. For heavier packers, this thing makes a serious daypack. Better yet, its compact design makes it a great choice for traveling abroad. That it retails for just $119 makes it all the more enticing. Its large, U-zipper for the main pocket makes packing and unpacking in a hurry easy. Daisy chains run up the front of the pack, which is great for hanging equipment that might not fit inside if you’re having trouble with the pack’s volume. Daisy chains also line the bottom of the pack, which can be used to lash on a sleeping bag. LightBeam single aluminum stay and Dynamic AirFlow back panel helps distribute weight and prevent back sweat. Don’t purchase this pack without specific needs in mind. 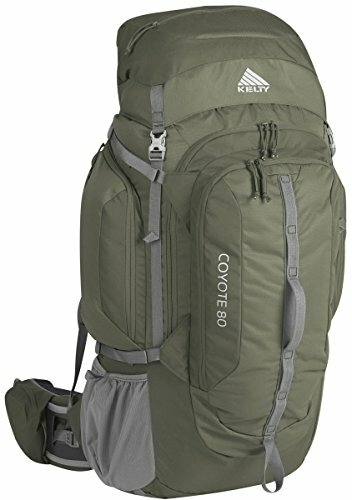 If you want a large daypack or a small overnight pack, this will probably serve you fine. Others may find that it falls into something of a “no man’s land” in terms of size: too big for daytrips or urban use, but too small for long, overnight hauls. The top “carrying handle” is too small for most people to hold comfortably, especially if the pack is fully loaded. This really only comes in handy when you’re hanging it. The zippers can’t be locked, which may present concerns for those using the pack for international travel. Great pocket design (good size for multiple water bottles, one small felt pocket good for cell phone storage). Four compression straps that condense the pack significantly. The hip belt can’t be removed on the newest model, but it can be tucked into the back of the pack. This is a very comfortable pack for its dense, compact design, and distributes the weight very well. 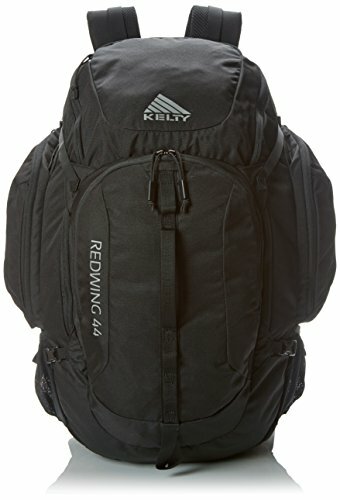 For anyone needing an overnight pack for non-intensive use, the Redwing 44 provides a great bag for a fantastic price. This isn’t the largest pack Kelty provides, but its 80 liters provides ample room for most backpackers’ needs. While it’s a bit heavier than many would prefer, this is a solid, affordable pack no matter whether you’re trekking in the woods or across the world. Solid suspension system: the mesh lining and hip belts make this a really comfortable pack even loaded down. Great pockets for quick access: The hip belt has a zippered mesh pocket on either side. Two more mesh pockets line each side of the bag too (easily reachable with the back on) that are good for a nalgene bottle or snacks. The exterior of the bag has several large pockets too for access on the trail without unpacking. The top pouch actually has two large pockets, which is a rare feature. Excellent zipper quality: Although this may seem like a minor factor, having great zippers that never get caught is quite an underappreciated luxury. Main chamber access without removing top lid. The pack isn’t quite waterproof, but it is water-resistant, which should serve fine for mild storms you might get caught in. A rain cover or a large poncho should be carried with you though. Not everyone needs an 80-liter pack. But when it’s appropriate, it’s a very reliable, well-designed pack, with nice features but few thrills. While its retail price isn’t ideal for a Kelty pack, it can often be found for less at REI and Amazon (see this listing). Finally, while this pack will provide more than enough room for international travel, many would argue that it’s too bulky, and that unless you’ll be packing for a winter in Scandinavia, lighter bags will almost certainly be more convenient and less cumbersome. Of the three packs mentioned here, the Catalyst 65 is the most well-rounded and balanced. Its 65 liters of storage space provide ample room for three-day trips and more than enough for international travel. Plus, its eye-catching design, modern features and modest price tag will make it a more practical option than the larger Coyote 80. Plus, it includes some very interesting features like the detachable 10-liter daypack and Kelty’s newly debuted suspension system. Having just been released in early 2015, it represents Kelty’s latest technology. Kelty’s new suspension system “Perfect Fit” debuted with the Catalyst, which allows remarkable and efficient custom fitting. Huge, covered, zippered pockets on the hip belt (as opposed to the hip pockets on the Coyote 80, which are mesh). Very sizable water bottle pouches on either side of the pack that allow storage of much more than just a nalgene. Like the Coyote 80, it has the rare benefit of two hood pockets, although the lid must be unbuckled and lifted to access the second. Like the previous two packs, the Coyote has the daisy chains on the bottom of the bag, which allows you to lash on a sleeping pad. Sleeping bag side compart allows for internal sleeping bag storage with easy access. The side access to the pack allows for access to the pack’s main chamber, but it’s far less convenient than the Coyote’s larger, more centrally located pocket. No pack cover included, so that must be ordered separately. As Kelty’s latest design, the Catalyst has a ton of handy features that make it a really unique pack both functionally and aesthetically. Some might consider the many new add-ons more than necessary, but most of the features prove both practical and creative. Kelty also makes a 50 liter and 80 liter version of the Catalyst, if those better suit your needs, but the 50-liter version doesn’t include the 10-liter daypack. 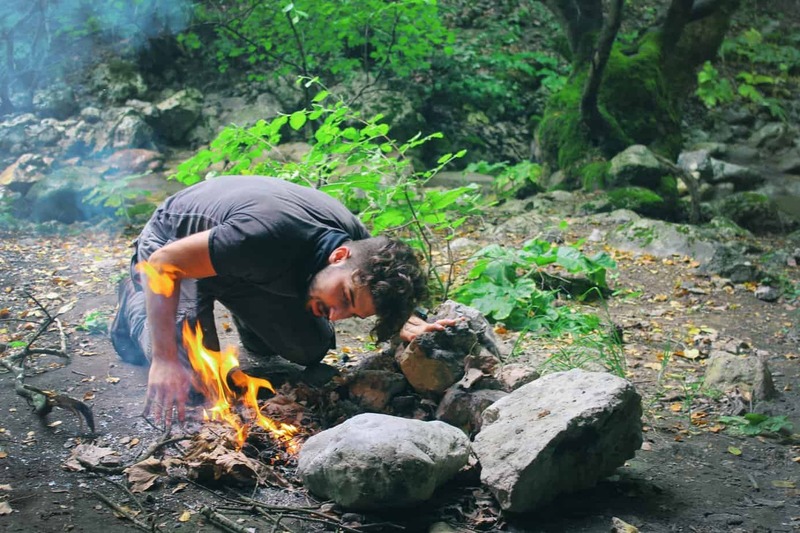 Sam Hardy is an outdoor enthusiast with a penchant for survival skills. He writes about the great outdoors and his favorite equipment here. The Mountain Hardwear Exponent Jacket Review – The Rain Jacket You’re Looking For? The Marmot Reactor Fleece Review – The Best Mid-Layer Jacket? The Roofnest Eagle Roof-Top Tent Review: Should You Buy It? YETI Roadie vs Hopper – Which is the Best Cooler? A Review of the Benchmade North Fork Knife: Is it Right for You? Reviewing the Camelbak Ambush – Capacity vs Efficiency? An In Depth Esee Laser Strike Knife Review: Is It Right for You?